It’s been in the back of my mind for a while now, growing, nagging, baiting me: the annual challenge of proving my worth in the pickling arena. 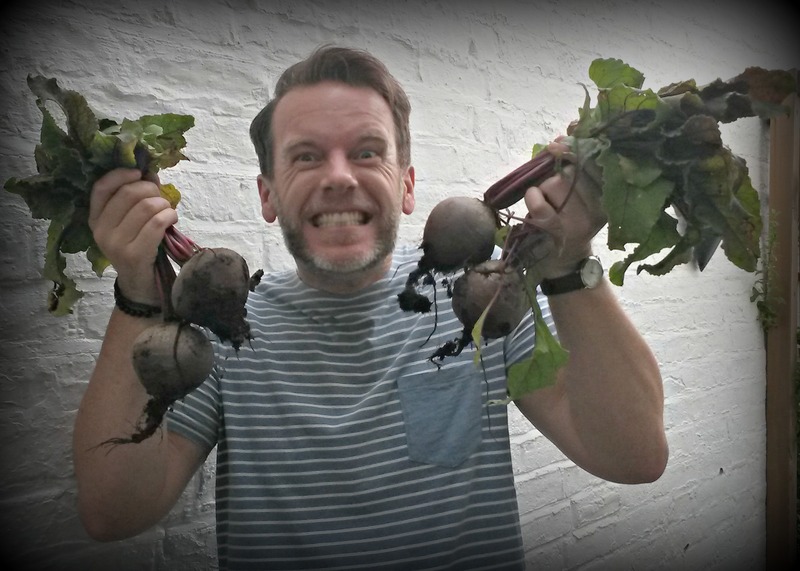 And with beetroots swelling out of their beds, today was the day I downed the fork, put away the watering can and donned the kitchen pinny. Today was the day I unleashed picklemageddon on my unsuspecting kitchen. Taking the basics from this recipe, the artist in me quickly took over, and I began to improvise with a little dash of this and a cheeky pinch of that. For the next hour I was like a crazed Frankenstein, mixing potions and adding spices all to bring my creation to life… ‘IT’S ALIVE!’. I cleaned, I baked, I sliced, I created a pickling liquor that the Gods themselves would look upon with awe and wonder. Insanity began to creep in, but still I persisted, until every juicy segment was firmly lodged in it’s glass tower. 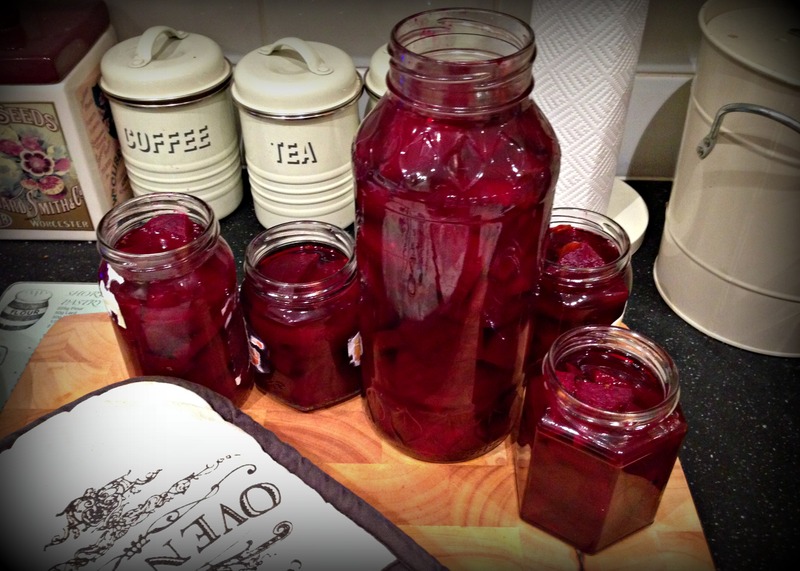 And now I wait, ponder and pray to the pickling gods that whatever alchemy is taking place in those jars, when I bite into those purple wonders a few weeks from now, I will taste pickled beetroot nirvana. Previous Two Fingers to You, Evil Supermarket! It’s always the disadvantage of pickles having to wait.